In Stock & Ready for Delivery! Hey Ya'll! I'm Doll Lee (pronounced "Dollie"), and it's my job to welcome you to DixieOutpost.com - home of Dixie Outfitters Summerville (formally Price Is Right Tee's). It's also my job to tell you about all the T-shirts we have. 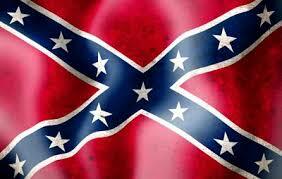 We carry a wide variety of Southern Heritage and Confederate t-shirts at a great price - just $10, or 3 for $25! We can even make a custom shirt for you - using any photo you want on our high quality shirts! 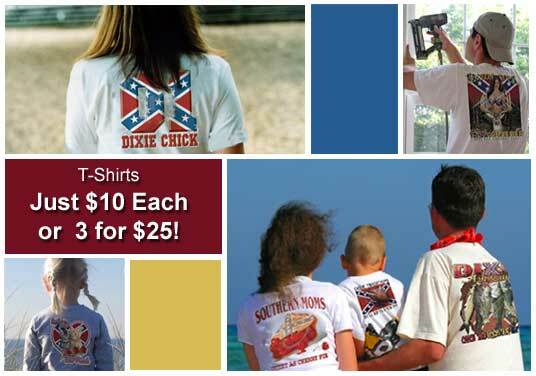 So have a look around, select your Confederate and Rebel tees, enjoy secure shopping from the comfort of your home, and, if you have any questions, be sure to ask! Tell 'em Doll Lee sent ya!